An itinerant electric bluesman, Thompson was once the virtual house band for the Oakland chapter of Hell’s Angels but he couldn’t parlay that into the success Doobie Brothers found as the house band for a biker bar and kept rolling down the line to the next gig like a true itinerant bluesman. 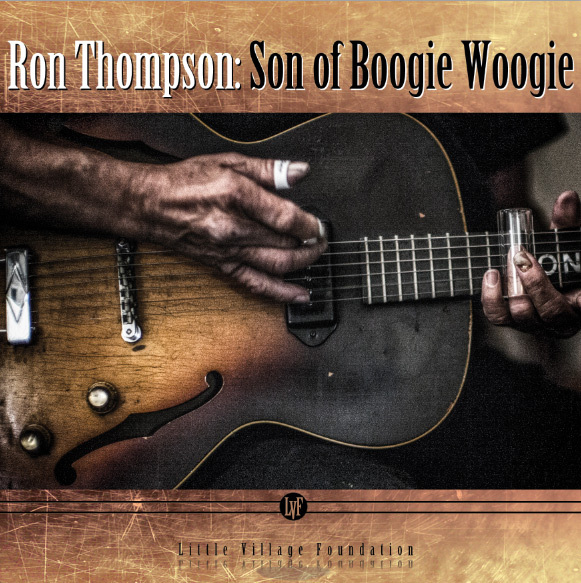 Gathering praise from many heavy hitters that never followed up or through, Thompson just kept honing. With probably his first record in 30 years, this is one white boy that has the bluuuuuuzzz! A killer guitarist that makes everything sound like the west side of wherever you are (as long as that’s a down side of town), this stuff could make the hair on Blues Brothers arms stand on end. Smoking throughout, hopefully this will be the source of some long overdue recognition.